Granite is a natural stone, made and harvested from the earth. It is formed over millions of years when molten rock from the center of the earth’s core is pushed to the surface. The combination of molten rock and a variety of minerals provides for endless varieties and unique patterns in granite. No two slabs are exactly alike making it truly a designer’s choice. Nations throughout the ages have chosen Granite to memorialize their significant achievements and milestones. From the Vietnam Veterans Memorial to historic cathedrals, granite’s beauty has proven timeless. Its ability to be highly polished coupled with its extreme durability, which approaches that of diamonds, provides the perfect combination for everyday use in kitchen and bathroom countertops. Granite is an extremely hard stone making it very durable. 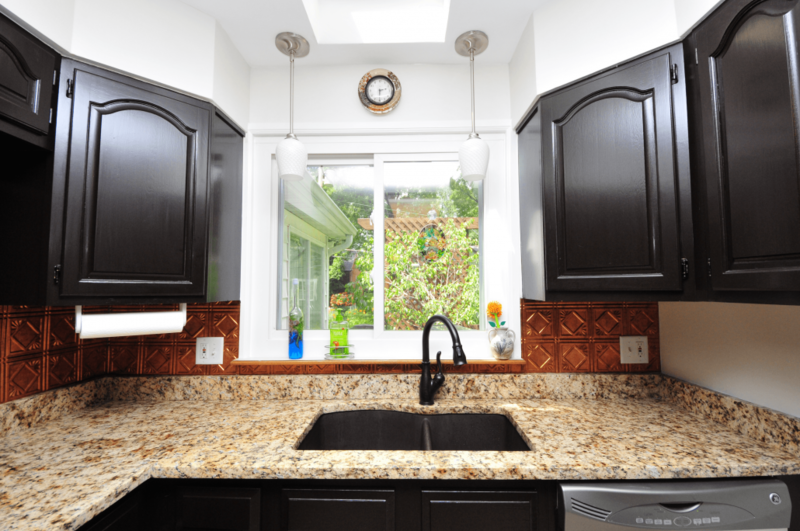 Granite countertops, when maintained properly can provide timeless elegance to your kitchen. Granite is a product that only Mother Nature can produce, your granite countertops from Titan Granite are 100% Natural Stone. Granite Countertops will never fade in color over time whereas Quartz Countertops can. Your Granite Countertops may loose their shine over time without proper care but can be polished back to their original sheen within a few hours with the right tools. Since granite comes from the earth, no two slabs are the same. The natural colors cross the entire color spectrum. Whatever décor you have in your home, Titan Granite has the slab to send your décor over the edge. Maintenance on granite countertops consists of regularly cleaning and re-sealing ever 1-3 years. Cheaper countertop alternatives, such as laminate are comprised of wood with a thin layer of laminate glued on top. While these surfaces are not resistant to heat, cannot be cut on they will also peel or become damaged over time. Solid surface countertops, such as Granite, Marble and Quartz will provide a durable and lasting look. As with any countertop, regular cleaning is necessary to keep counters clear of bacteria. You want to be sure NOT to use any cleaners with ammonia, bleach, vinegar or anything containing citrus to clean your countertops. These ingredients will slowly eat away at the polish on your countertops reducing their shine. Any all-purpose cleaner, not containing these products, will clean your counter tops over the years. Granite is a porous stone making regular sealing necessary over the years. 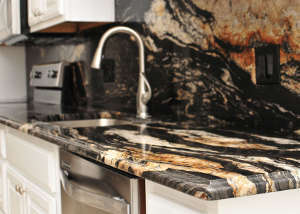 Titan Granite recommends sealing your countertops every 1-3 years depending on the amount of usage your countertops see. Knowing that it is porous, you will want to clean up that red wine spill in a timely manor as to not stain the countertop. Titan Granite does offer a lifetime warrantied countertop sealer that can be applied to your countertops at the time of purchase. Due to the timely process of this application, this seal must be applied in our shop before your countertops are installed. Be sure to ask your Titan Granite sales rep about our Lifetime Sealer. 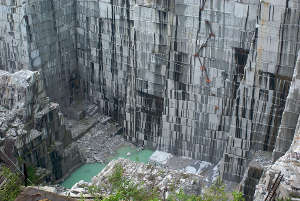 Granite quarries can be found all over the world. The vast majority of granite imported to the United States comes from South America, Italy, India and China. Titan Granite is one of the few local granite fabricators whom import stone directly from international quarries. 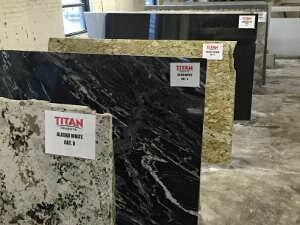 These quarries, along with local suppliers, make up the 100+ full slabs seen in Titan Granite’s 10,000 square foot showroom.